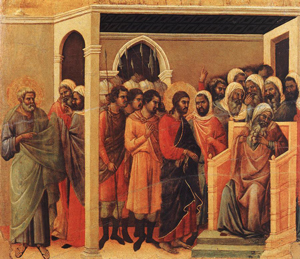 In the Gospel, Nicodemus is one of the chief priests and a Pharisee—yet he does something revolutionary: he requests that Jesus be given a legal hearing. What makes this revolutionary is that in the Old Testament or rabbinic law there is no legal precedent for the accused to be accorded a legal hearing. As a Christian, could I devise something equally revolutionary that would defend Jesus? Or maybe I could help the poor and demonstrate more mercy. Maybe mercy is the revolution.